Also known as the model CE-S550, the Citation S/II, or Super II, is a light twin-engine business jet, manufactured by Cessna Aircraft Company, based in Wichita, Kansas. The Citation S/II is an improved version of the popular Citation II, with more powerful Pratt & Whitney Canada JT15D4Bs turbofans. 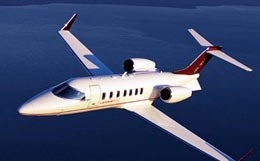 The Citation S/II incorporated a number of aerodynamics improvements, especially the new wing design developed for the Citation III. The Citation S/II can be flown by a single pilot and can be configured for up to 10 passengers. 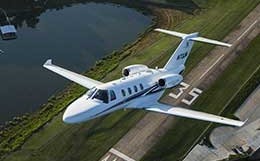 The Citation S/II has faster speed and increased payload capability over its predecessors, and stands out by its simplicity, flexibility and economy. The Citation S/II replaced the Citation II in the product line in 1984, but, the Citation II was returned to production the late 1985 due to market demands, and both were produced side-by-side until replaced by the Citation Bravo. The Citation S II first flew in February of 1984 and received certification from the FAA later that year in July. Several aerodynamic modifications were evident with the Citation S II, notably around the airfoil: the wing root, engine nacelle, and pylon areas were redesigned and streamlined to reduce drag. Other features of the Citation S II include a liquid de-icing system and upgraded engines that could provide higher levels of thrust at higher altitudes. 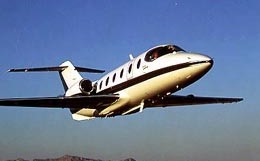 Even with an increased weight capacity and an increase in speed when compared to its predecessor, the Citation S II maintained the Citation reputation for simplicity of operation and economic performance. 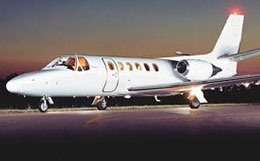 Production on the Citation S/II started in 1984 and ended in 1988. 159 aircraft have been built so far. 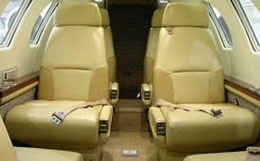 The Citation S II offers configuration that accommodate from six to nine passengers. The length of the cabin measures 16 feet, the width measures 4.9 feet, and the cabin height measures 4.8 feet. Twelve windows surround the cabin, contributing to a roomy, airy atmosphere. When compared to its predecessor, the cabin of the Citation S II is quieter due to a relocation of the engines to a location further aft on the fuselage. This private business jet offers 77 cubic feet of baggage storage to accommodate your luggage needs. This medium range twin turbofan business jet utilizes a low straight wing profile in conjunction with a slightly swept vertical stabilizer. The Cessna Citation S II features a high aspect ratio airfoil design. This aerodynamic feature not only decreases the aircraft’s susceptibility to Dutch rolls brought on by strong gusts, but also increases the ratio of lift per increment of angle-of-attack, making taking off and landing a much smoother endeavor. The Citation S II comes standard with two Pratt and Whitney JT15D-4B turbofan engines. Each engine is rated at 2,500 pounds of thrust at take off. With these engines, the Citation S II requires 3,240 feet of runway to take off and 2,247 feet of runway to land on a standard day. The Citation S II features a range of 1,429 nautical miles, offering a wide variety of options for your destination. For flights to further destinations, the Citation S II is capable of maintaining its long range cruise speed of 322 knots at its all engine service ceiling of 41,000 feet. In a high speed cruise configuration, this private business jet is capable of maintaining 402 knots at an altitude of 35,000 feet, well above most aviation traffic. The flight deck of the Citation S II promotes ease of navigation both through its impressive 340 degree field of view and through the intuitive, logical lay out of the avionics systems. The Citation S II standard avionics package typically includes a Sperry flight director and autopilot with vertical navigation and altitude preselect, dual Collins 20A radios and VIR 30 navigation systems, and a Bendix RDR 1100 weather radar, with a Sperry EFIS available as an optional addition. For more information about chartering, leasing or buying a Citation S/II please contact us by calling +44-20-3874-8091 or send us an email here.